We’re holding a new free 10 week beginners course for 2018. A free 12 week course starting on the 28th January ending with an optional 5km race at Lytham Hall Parkrun. The group is aimed at complete novices and open to anybody over 18. To join, you just have to turn up in suitable clothing and a pair of trainers. We’ll be meeting in the cafe area of Thornton YMCA at 6.45pm and starting the warm up at 7pm. There will be a Run Leader in charge of the session with other members of the running club assisting and providing encouragement. We recommend going out for two extra sessions as well as the main Thursday evening session, this will help improve your fitness and stamina. It’s always easier to run with a group and for that reason, we’ve created a closed FaceBook group just for those on the beginners course. This group is intended to be somewhere you can give and receive encouragement to others taking part in the group and arrange with others where and when to do the extra sessions. Before you begin a session, you need to warm up. The warm up includes skipping, high knees, heel flicks, swinging arms side to side and lasts for 5 minutes. This increases the heart rate and warms up the muscles and surrounding tissues and prepares your body for the coming session. A cool down is important after each session. It contains static stretches which allows your heart rate to slowly come down and your muscles relax. It also aids the dissipation of waste products including Lactic Acid. Each static stretch should last approx 10-15 seconds. This years presentation night will be at New Norcross Social Club, Fleetwood Road, Thornton-Cleveleys, FY5 1RN on Friday 5th February at 7pm. We’ll be having hotpot and vegetarian lasagna from Taylor’s of Cleveleys at 7.30pm. It’s free for members and £5 for non-members. On Thursday 28th January 2016 we’ll be starting a beginners running group. It’s a 12 week course aimed at complete novices that’s completely free to join. Ending with an optional 5km race at Lytham Hall Parkrun. We’ll be meeting in the cafe area at Thornton YMCA at 6.45pm. All you need is a little commitment and a pair of trainers. If you want to take part, just turn up on the night. After a few quiet weeks due to weather, Thornton Cleveleys runners were out in force at the annual Rudolf Red Nose race from Blackpool Zoo. The race was the last in the 2015 trail/fell race championship and once again men’s captain Andy Fairbairn came out on top finishing in 31.35, taking the title once again, although this year he has been pushed all the way by Roy Tomlinson who came home in 35.11, Roy took the Vet 55 title. Tony Codling had a strong run in 36.50 to secure the Vet 50 title. Daisy Seville looks to be a threat in the coming years with an excellent 38.45. Phil Hayes 40.10 ran well to take the vet 45 championship as did Janine Denney who secured the ladies vet 45 title. Daisy Seville was the star turn at the inaugural running of the BTH 5k at Stanley Park, organised by TCRC chairman Julie Sherwood. Daisy finished first lady and 3rd overall in dreadful conditions in an impressive 22.10. Steve Burgess had a strong run coming back from injury in 27.20. 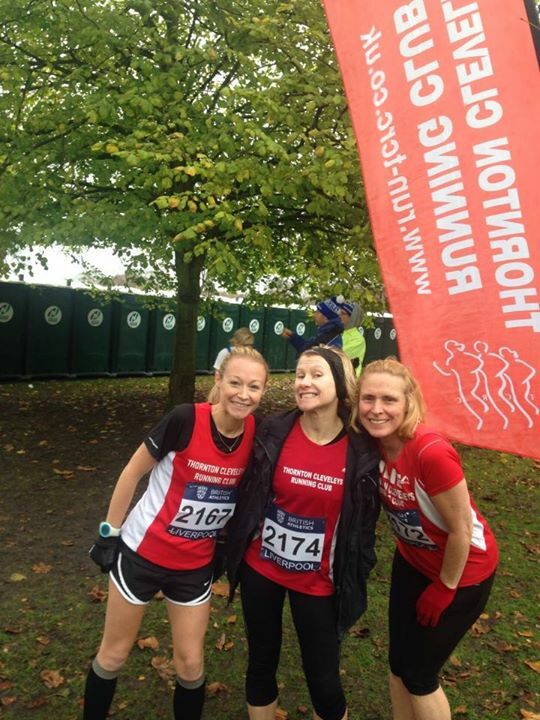 Other TCRC finishers were Sarah Scott 29.22, Johanne Lickiss 30.05, Christine Burgess 31.39, Mike Walsh 32.39, Lisa Young 34.23, Sharon Randall 34.39 and Karen Livesey 35.25. Roy Tomlinson 21.18, Phil Hayes 23.25, Steve Burgess 27.52 and Christine Burgess 31.02 all competed in the Lytham Hall Park run. Leon Flesher, supported by Peter Waywell ran the ultra tough “Tour de Helvellyn” in difficult conditions and was pleased to finish just under 8 hours 30 minutes for the 38 mile course. 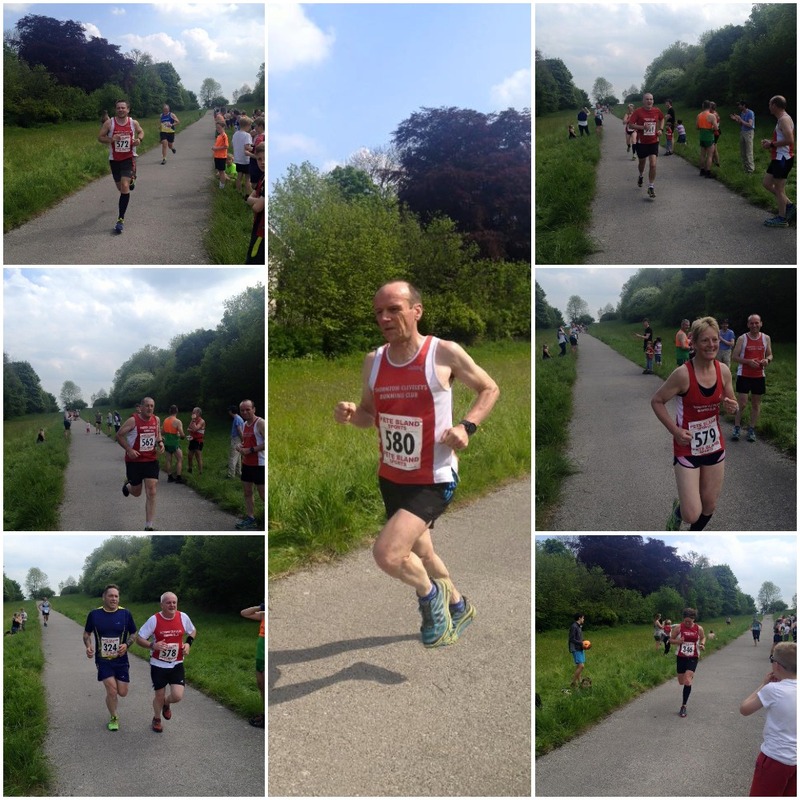 The Longridge 7 mile took place in favourable conditions with Brian Cumpsty finishing in 54.58, Sarah Scott 65.59, Sharon Randall 92.34 and Lisa Young 93.16. The popular Wesham 10k once again took place on the same day as the X challenge taking place at Sefton Park Liverpool. This didn’t stop Ben Brennan, Colin and Janine Denney and Sandra Gilchrist taking part in both events. Ben was first TCRC runner at Wesham in 46.58 followed by Paul Evans 51.26, who held off Colin Denney 51.52. Sandra Gilchrist ran 55.03. Kirsty Waywell 57.0 ran well as did Karl Lucas 60.55 and. Janine Denney 61.13. Super vet Mike Walsh once again takes the TCRC men’s Vet 80 category with a 68.57 finish and Lisa Young’s 73.52 was her best 10k for a good while. 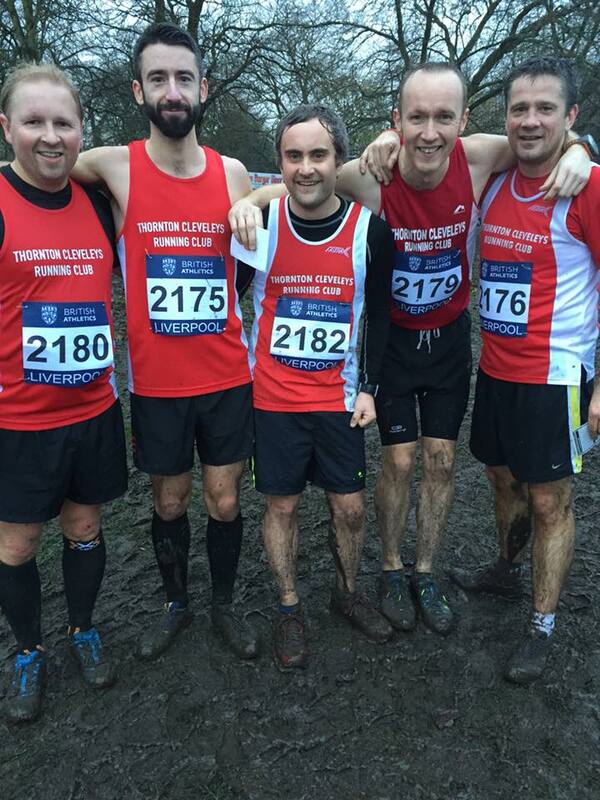 Over at Liverpool in testing conditions men’s captain Andy Fairbairn took the honours for TCRC, covering the 6 mile course in 39.39. David Barras continues to progress and ran an impressive 42.45. Joseph Tyldesley once again worked extremely hard for the team and came home in 46.31, followed by Alex Ingham 51.43. Ben Brennan 52.04 and Colin Denney 60.44 worked hard to complete the team after their mornings run at Wesham. Sarah Wetherill making her debut on the country for the club had an excellent race in 37.55 for the 5 mile course closely followed by Jenny Clark 38.11 who manages to smile in all conditions. Julie Sherwood enjoys the X country and had a strong run in 46.54 to score for the team. Unfortunately Sandra 61.20 and Janine 66.04 were held up in traffic in Liverpool, after the morning’s exertions’ and missed the start of the women’s race but still ran the course and finished. 23 runners competed in the November handicap with David Barras finishing fastest on the night in 21.48 for the 3.5 mile course. New member Jon Gardiner ran the course for the first time, finishing in 24.04. There were 4 personal best times, Tom Woods 24.18, Daisy Seville 24.23, Kirsty Waywell 31.28 and Karl Lucas 31.46. Leon Flesher and Terry Poole recently competed in the Hell of a Hill marathon’s at Horwich. The series is run over 5 consecutive days. Each race is 8 laps up to and round Rivington Pike. On the Wednesday Leon completed the race in 4.48.32 for 3rd place, Terry 7.18.10. Thursday saw Jenny Clark and Steve Livesey also take part for the day. Leon finished in 4.57.23 and Terry 7.42.16. Jenny finished an excellent 5.02 44 for 2nd lady. Steve ran 5.29.23. Friday’s times were Leon 5.13.23 and a suffering Terry 6.50 49. Saturday Leon covered the course in 5.09.29 and Terry 7.33.25. The final day is Sunday and Leon finished in 5.37.27 for a combined time of 25.46.14 and a 5th place finish. Terry 7.41.44 for 37.06.24 and a top 25 place. The first running of the Lytham Hall Park run took place last weekend. Husband and wife team Roy and Michelle Tomlinson took part with Roy covering the 5k course in 21.56 and Michelle 37.24. Also taking part were sisters Bev and Melanie Foster with Bev taking the honours in 31.12 just ahead of Melanie’s 31.15. News has just come through that Brian Cumpsty finished the ultra tough Everest marathon in 9 hours 28 mins. An superb achievement for Brian. Many apologies for this being late, I’ve been a little bit busy – Lisa. The weather played a huge part in the weekend’s races, both locally and further afield. At the Windmill 10k on Lytham promenade Alex Fleming and Andy Fairbairn had a battle all the way to the line with Alex 37.54 coming out on top to finish a brilliant 6th place and Andy just one second behind and first Vet 40 in 7th. Great results in a field of nearly 800 runners. The race also meant that Andy is once again TCRC road champion for the year. The future is looking good with others now pushing Andy and Alex all the way. David Barras ran an excellent 40.35 in the windy conditions as did Jenny Clark in 45.52 to take the Ladies vet 35 TCRC road title. Gillian Pryor once again showed her consistency in 49.56 and Sarah Scott 54.54 enjoyed her run despite arguing with a “bush”. Andy Whitlam had good run to finish in 56.08. Joe Tyldesley was overjoyed to break the 20 minute barrier for 5k at Catforth, breaking the tape in 19.48, followed by Steve Livesey in 21.37. Karen Livesey is once again enjoying her running and came home smiling in 34.37. Leon Flesher tackled the tough Helvellyn 15k on Saturday and finished an excellent 1.10.04. 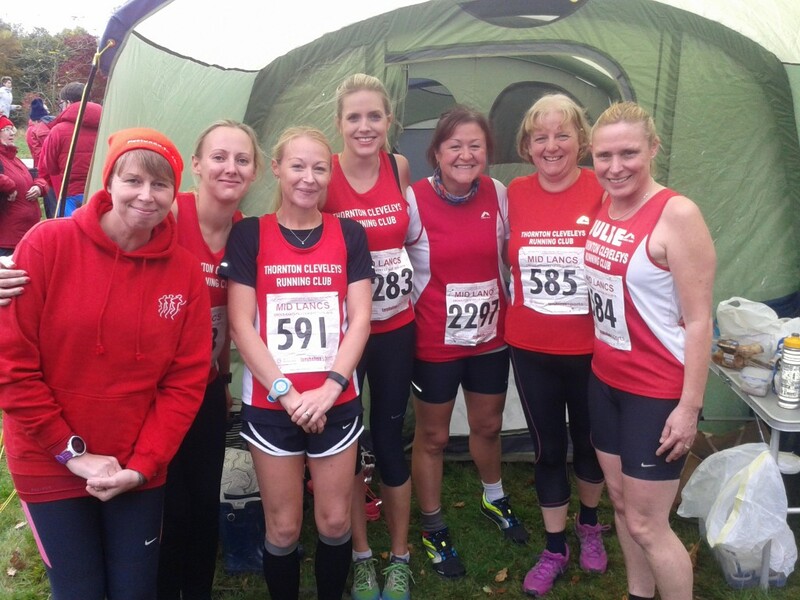 Julie Sherwood ran the Helvellyn 10k in 62.31 and thoroughly enjoyed the day. Leon had to settle for a 9k race later in the day and ran 43.53 for a top 25 place. Thornton Cleveleys Running club hosted the 6th running of the Fairclough 5 race. The race is named in honour of our first treasurer Bob Fairclough who unfortunately died in a motorcycle accident in 2009. Men’s team captain Andrew Fairbairn, in his second race in two days had a top 10 finish in 29.48, pushed all the way to the end by Alex Fleming 29.50. David Barras 31.56 completed the team that finished 2nd overall. Tony Codling finished 3rd vet 50 in 32.03. Joe Tyldesley had an excellent run in 35.25 considering it was his second race of the weekend following the mid Lancs x country the previous day. Alex Ingham 37.22 also competed following his exploits at x country. 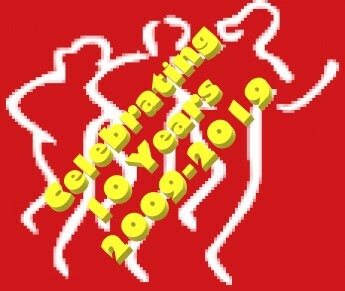 Other finishers were: Brian Cumpsty 35.33, Ben Brennan 36.56, Garry Routledge 39.56, Paul Evans 39.45, Colin Denney 40.44, Debbie Cardwell 44.32, Karl Lucas 48.08, Joanne Anderson 52.21, Hilary Goorney 52.24, Mike Walsh 52.58, Janette Ball 53.54 and Stan Jackson 54.58. A couple of TCRC members travelled south to compete in separate events. Gillian Pryor ran the Great South run at Portsmouth and finished with a very respectable 83.35. Leon Flesher continues to impress with his long distance exploits. His latest race was the Bristol to Bath marathon. The over distance course is 27.4 mile and has 1502 foot of ascent. Leon finished in 3.09.49. 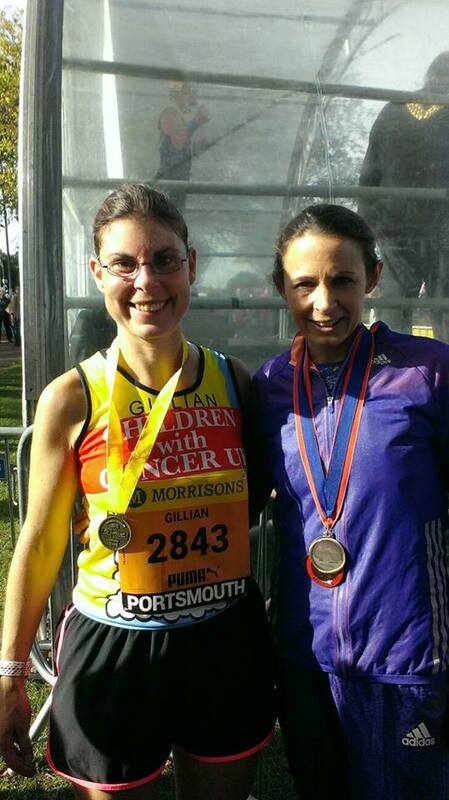 Gillian Pryor with Jo Pavey following the Great South run. 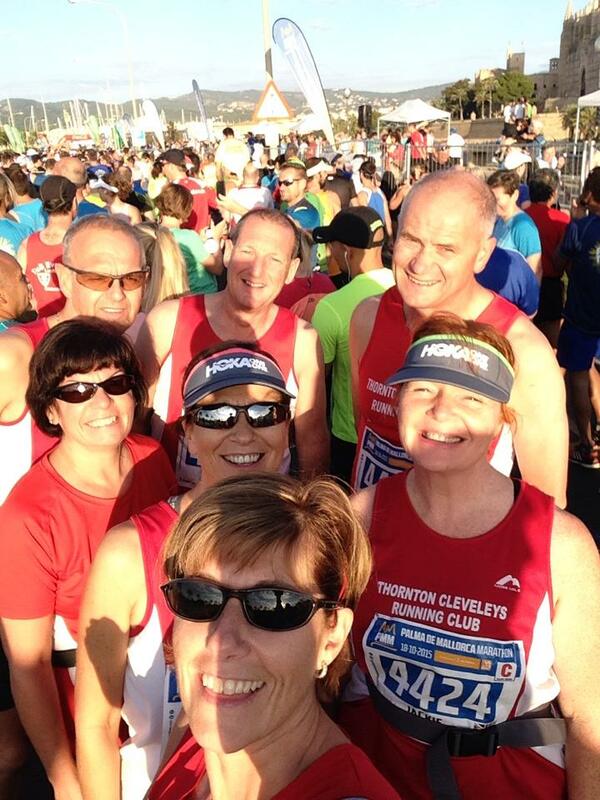 An extremely busy weekend for Thornton Cleveleys Running Club saw members competing locally, in Cumbria, Yorkshire, and internationally in Holland and Majorca. The Green Drive 5 was the latest race in the road championship and Caroline McLaughlan ran 36.02 to become TCRC’s Ladies open champion for 2015. Daisy Seville continues to show real promise and came home in 36.38. Gillian Pryor, the ladies Vet 40 champion ran 39.47. Sarah Scott was overjoyed to run a P.B in 42.32, David Jones 43.45 and Lisa Young 56.50 also competed. 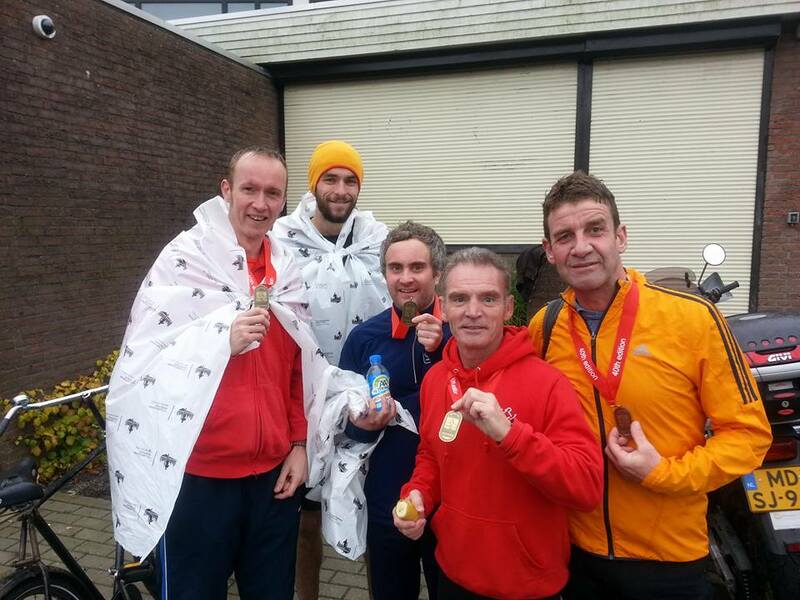 The magnificent seven travelled to Amsterdam to take part in the full and half marathon. David Barras had an excellent run in the marathon finishing in 3.21.05 followed by young Tom Woods in his first marathon. Tom was pleased with his 3.45.19 finish. Alex Fleming showed his recent training regime has paid off with strong 1.24.24 finish in the half marathon closely followed by Andy Fairbairn 1.25.44 Tony Codling, running better than he has been for years was over the moon to run a PB in 1.31.28, Joe Tyldesley 1.39.43 and Steve Livesey 139.43 also made the trip. Much nearer to home the Pilling 10k race took place in the Wyre area. Brian Cumpsty was first TCRC runner in 43.05. Paul Evans, in a rare outing finished in 48.57, Angela Norris continues to improve and ran a promising 57.40. Ladies captain Sue Jones 59.48 just out sprinted newcomer Karl Lucas 59.51 at the finish. Gill Skelton also competed in her local race and finished in 68.50. Sharon Randall competed in the Helwith Bridge duathlon at Settle.